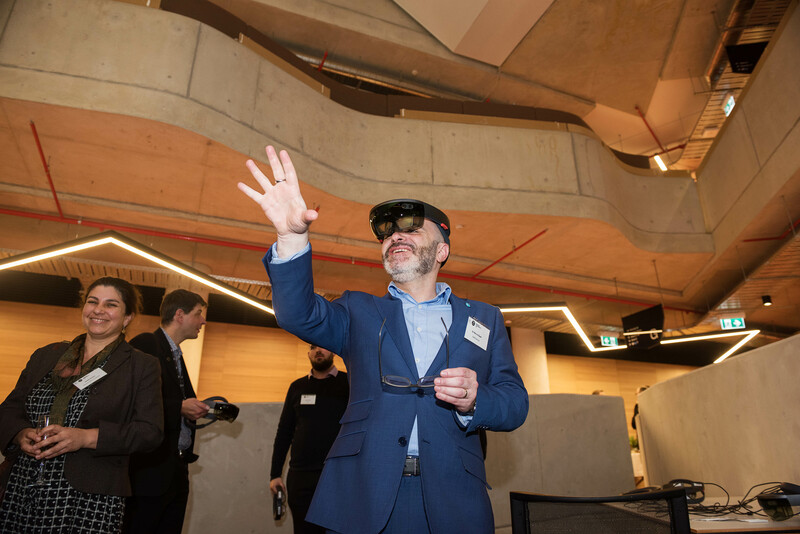 CSIRO's Data61 today announced the opening of its new Immersive Environments Lab, a facility purpose-built for applied research into novel augmented reality, virtual reality and 3D Web technologies—industries set to be worth $143 billion by 2021. 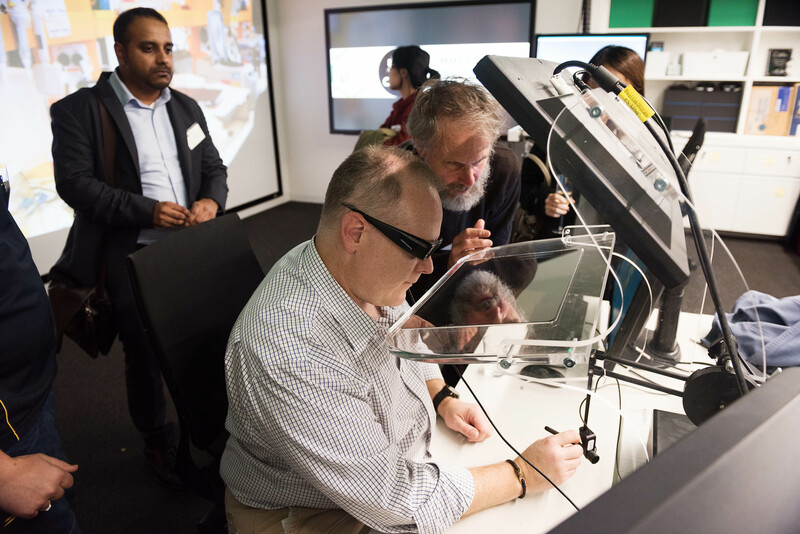 The Lab, which is part of CSIRO's new $100M research facility in Canberra, will allow researchers to develop new interactive computer graphics and computational imaging services, which will redefine industries including retail, agriculture, manufacturing, health and construction. Senior Research Engineer and Experimental Scientist at CSIRO's Data61 Matt Adcock, said AR and VR technology would change the way Australians interact with digital systems at work and at home, such as enabling emergency services to 'beam in' to help administer first aid, to allowing maintenance workers to interact directly with smart buildings, and tapping into vast catalogues of 3D data. "AR technologies can sense elements of the physical environment and enable delivery of holographic data right where and when it is needed most," Mr Adcock said. "Some smartphone apps already let users see, for instance, what furniture would look like in their own home. "But while the hardware is evolving at a rapid pace, the digital services that can run on that hardware are just beginning to be explored." "We've also developed an application for the Powerhouse Museum that uses our multi-user AR techniques," Mr Adcock said. "A tour guide is able to share a virtual holographic experience with a tour group through smart glasses. "While the tour guide controls the general narrative, and the holograms appear in exactly the same place to everyone, each individual can investigate specific aspects of the museum objects for themselves. "This is a whole new way of collaboratively experiencing museum collections." CEO of Data61 Adrian Turner said the Lab was a unique facility with connections into Data61's deep expertise - in areas such as decision sciences, data sharing and visualisation, collaborative systems, Internet of Things, machine learning, in-situ analytics and robotics - as well as CSIRO's domain expertise in manufacturing and agriculture. "Augmented reality now is where the Web was several decades ago - on the cusp of broad adoption, as the technology and compelling use cases have matured," Mr Turner said. 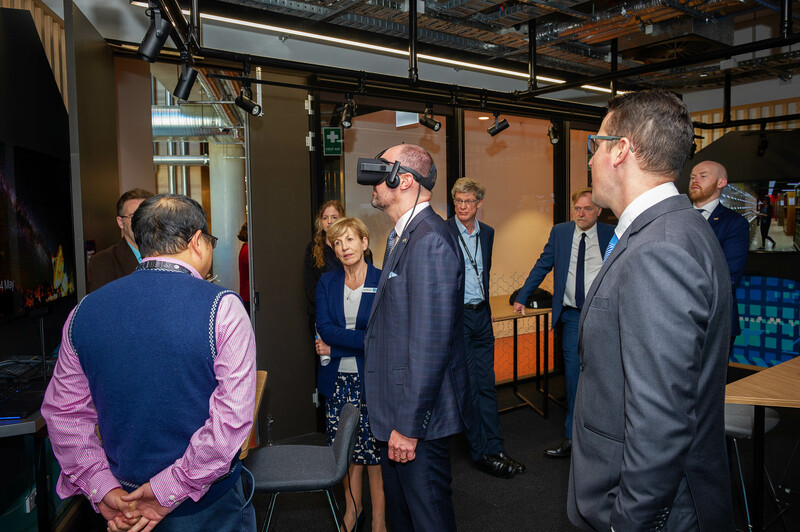 "The Immersive Environments Lab will facilitate collaboration between industry, government and universities to place Australia at the forefront of this next wave of technology which will reinvent our industries and create new ways of working and playing." Demonstration of Synergys smart building features through Hololens. Demonstration of technology at the Immersive Environments lab. Minister Barr (middle) and Minister Seselja (right) being given a demonstration on Data61s AR technology. 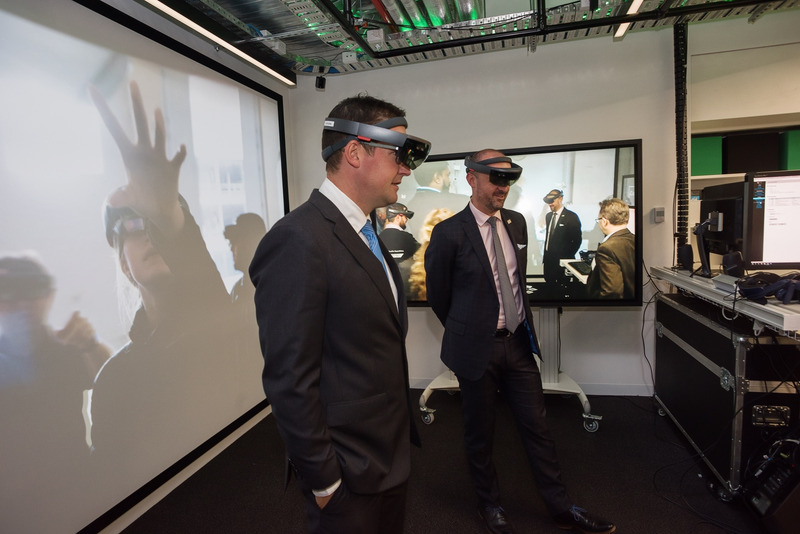 Minister Seselja (left) and Minister Barr (right) in the Immersive Environments Lab.